Friday, October 10: Large numbers of Multicoloured Asian Lady Beetles have been reported this week. Swarms of these brightly coloured beetles are searching for hibernation sites in the cracks and crevices on the sunny side of homes and buildings in Windsor. They will stay in protected locations for the winter and then disperse to lay eggs once spring arrives. Visit our page on Lady Beetles for more information. Thursday, October 2: The warbler migration is winding down and sparrows are becoming more common. The first Dark-eyed Juncos (2, Memorial Park), White-throated Sparrows (4, Ojibway Park) and White-crowned Sparrow (1, Ojibway Park) were reported today by Fred Urie. 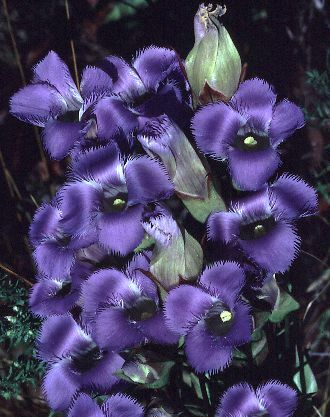 Prairie wildflowers in bloom this week include many species of asters, autumn sneeze-weed, bottled and fringed gentians, autumn and great plains ladies' tress orchids.